We understand the importance of fast and convenient scheduling for our guests. Therefore, we've adopted an online platform that will help speed up your reservation requests, as well as offer a convenient one-stop shop to update you and your pet's profile, view report cards, and store payment information. 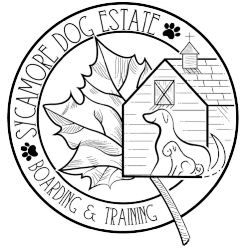 The free one-time registration process is fast and painless, and will also help speed up your dog's check-in upon arrival here at The Estate. We are all aware that security has become an increasingly important and complicated matter in the online world. We value the security of our clients information here at The Estate, and that's why we've chosen to use a platform that utilizes state of the art tokenization to protect our customer's card information. A token is a reference to your actual card data, but it contains no specific card information itself. The token is an encrypted message sent to our software's Level I PCI-compliant gateway that houses your data (think big fortress of computers with climate controlled, fire suppression systems, requiring multiple levels of password protection to access). The token reads the real card information and sends back a message to our software that the credit card on file is correct and can be processed - we store no actual credit card information and no actual card information is passed back and forth. So, if for any reason someone was able to gain access to our system, there is nothing of value for them to get a hold of. Your information is safe and secure.